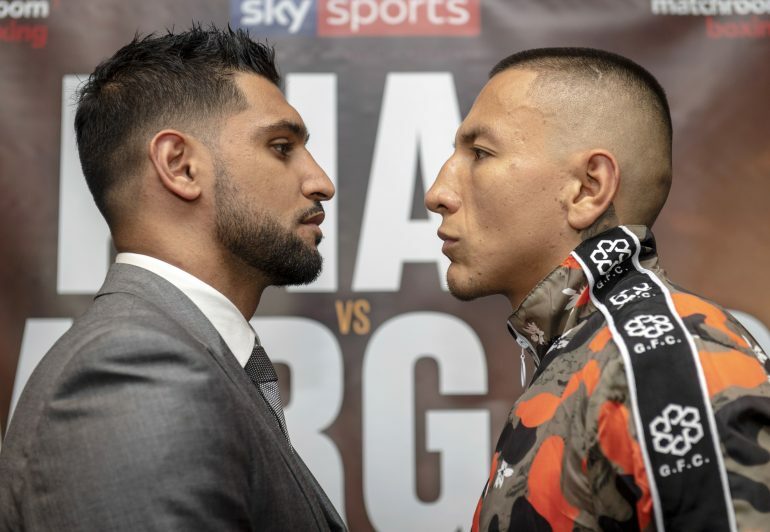 Welterweight fringe contender Samuel Vargas 29-3-2 (14) insists he has what it takes to defeat Amir Khan 32-4 (20) when the pair meet at Arena Birmingham in Birmingham, England this Saturday night. The 29-year-old Colombian, who fights out of Ontario, Canada, believes that 13-year pro veteran Khan has too many miles on his clock to come out victorious. But Bolton’s Khan, 31, says his experience will give him the edge against Vargas, who he insists he is not taking lightly. “I know I’ve got everything it takes to win this fight,” said Khan, the WBA number five and WBC number 10 contender. “I’m not seeing Vargas as another [Phil] Lo Greco. They might be from the same country but that doesn’t mean anything. In his last outing in April, Khan walked through Phil Lo Greco in less than a round. It was his first fight back after being knocked out cold by Saul ‘Canelo’ Alvarez in a 155-pound catchweight bout two years earlier. By contrast Vargas has fought seven times during the same timeframe.